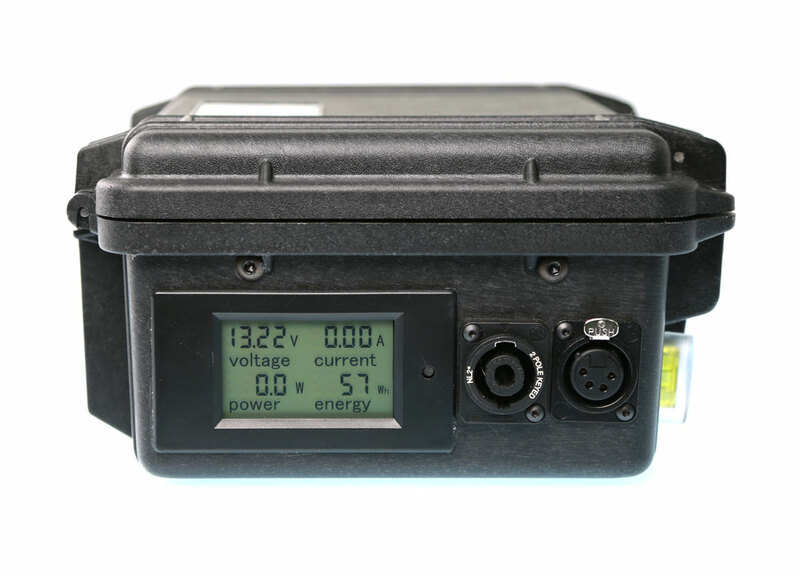 The LiFe Box is a fully enclosed battery system, consisting of a Lithum Iron Phosphate battery pack, comprehensive metering, and an optional built-in battery charger, all built into a rugged and compact Pelican 1150 case. 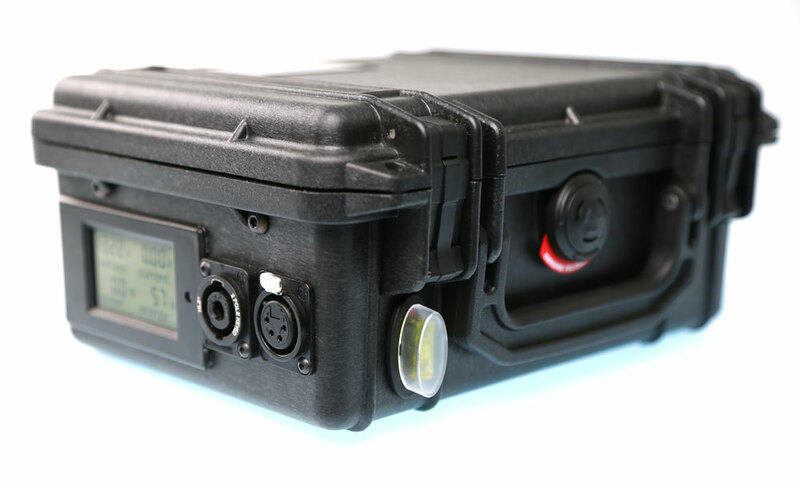 The LiFe Box is available in three configurations: The LiFe Box 30 (30Amp-hour capacity), the LiFe Box 20, (20 Amp-hour capacity), and the LiFe Box 20C, which has a 20Amp-hour capacity and a built-in charger. 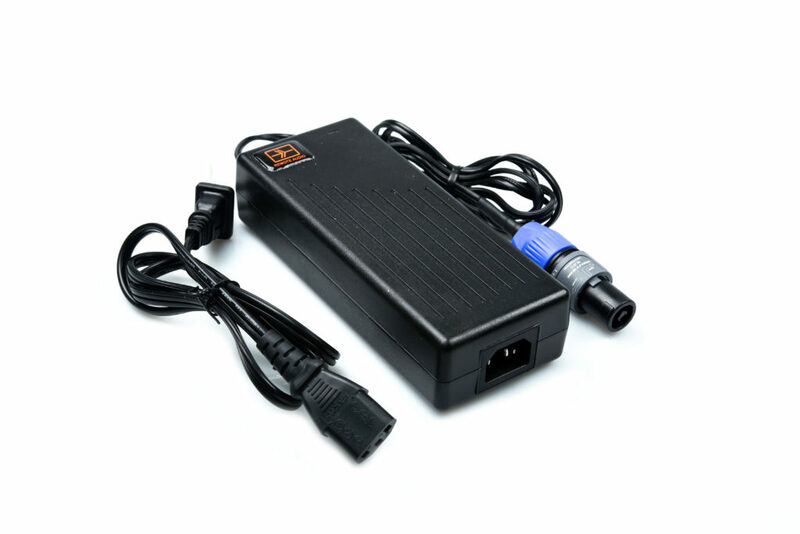 The 20 and 30 have a 4-pin XLR outlet and a high-current SpeakOn outlet. The 20C has a 4-pin outlet and an AC mains connector for charging. Which to buy? Well, if your priority is high-capacity, get the LiFe Box 30. If your priority is light-weight, get the LiFe Box 20. 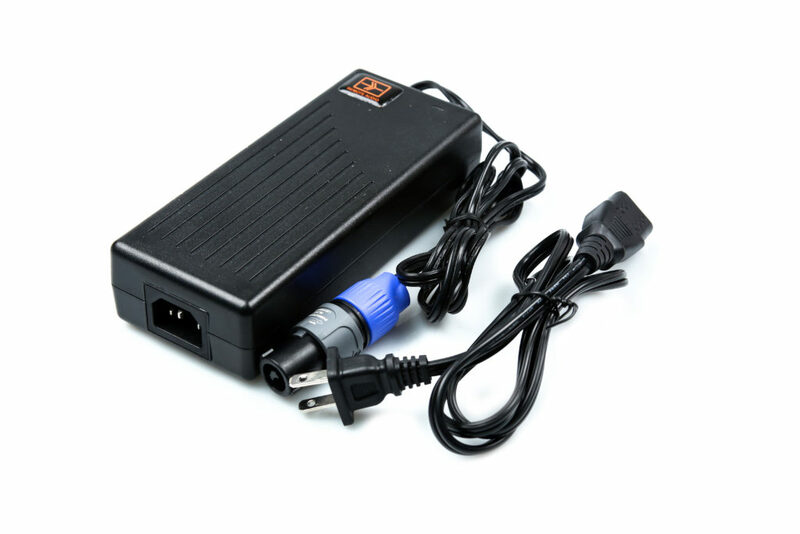 If you need the convenience of the internal charger, then the LiFe Box 20C is your best choice. 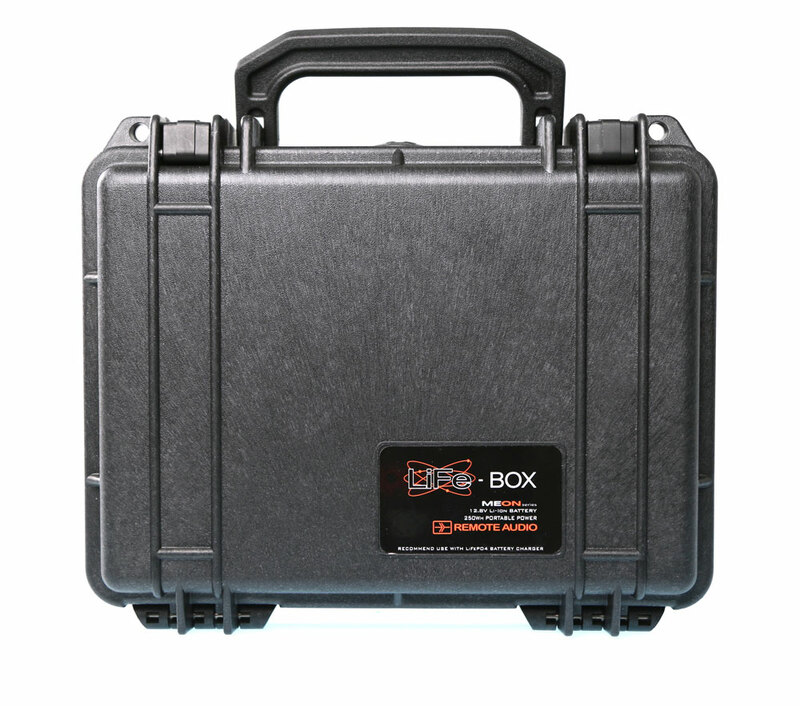 Because the LiFe Box uses Lithium Iron Phosphate chemistry, the first thing you’ll notice when you pick one up is how light-weight it is, especially compared to the old lead-acid Pelican batteries. These are very light. Another very important feature of the all of the LiFe Box batteries is the built-in meter. 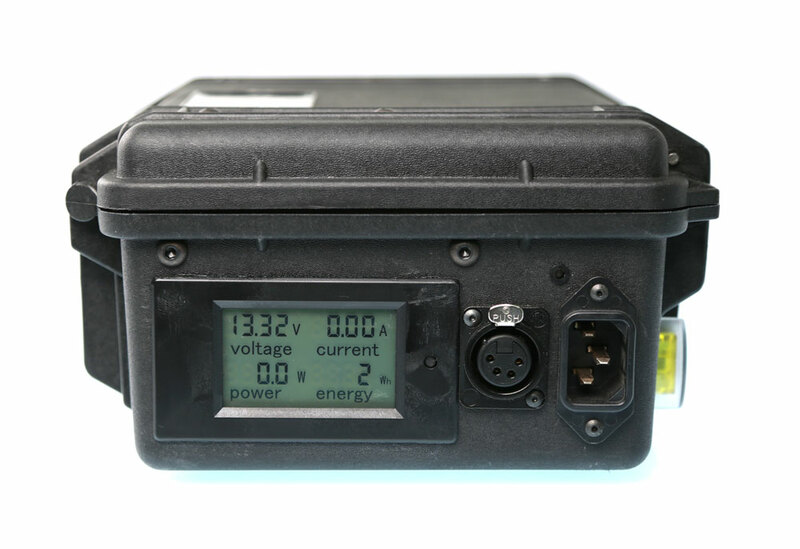 This meter shows the battery’s voltage, of course, but it show’s much more… It shows current consumption in Amps, power used in Watts, and the remaining charge capacity in Watt/hours. 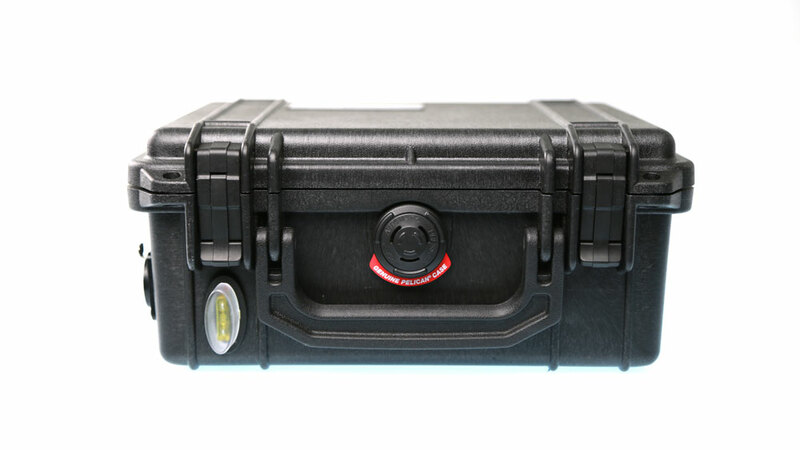 The LiFe Box is a great power solution just by itself, but is also a great companion for the Meon LiFe rackmounted power system, doubling its capacity.